The three minor summits over one thousand meter on the southern side of Cuber reservoir can be hiked in a loop walk, jokingly referred to as the three thousand. 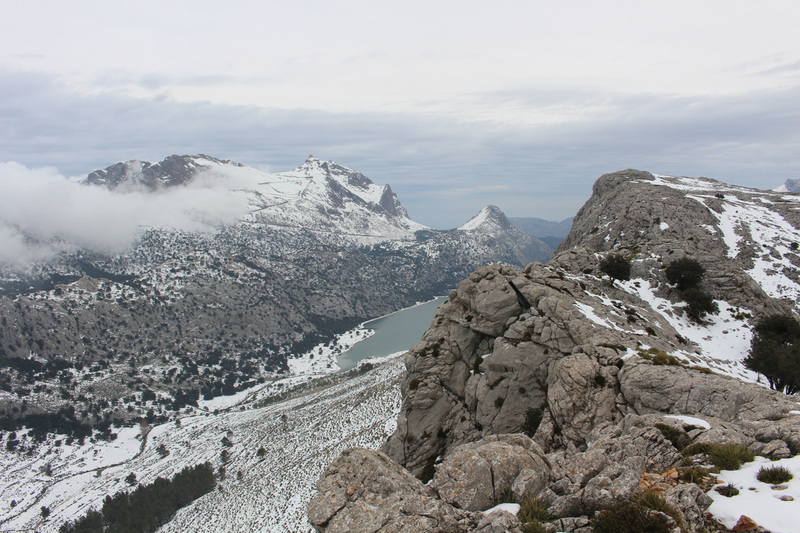 It is a fairly easy hike with great views over puig Major, Cuber reservoir, the Cornadors and the mountains of Alaro to the south. 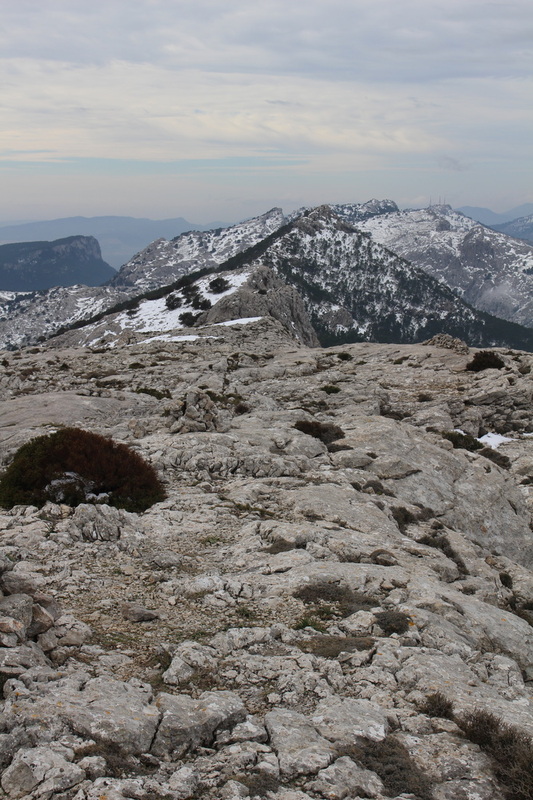 The ridge trail only drops a few hundred meters between each summit so the going is not too difficult. 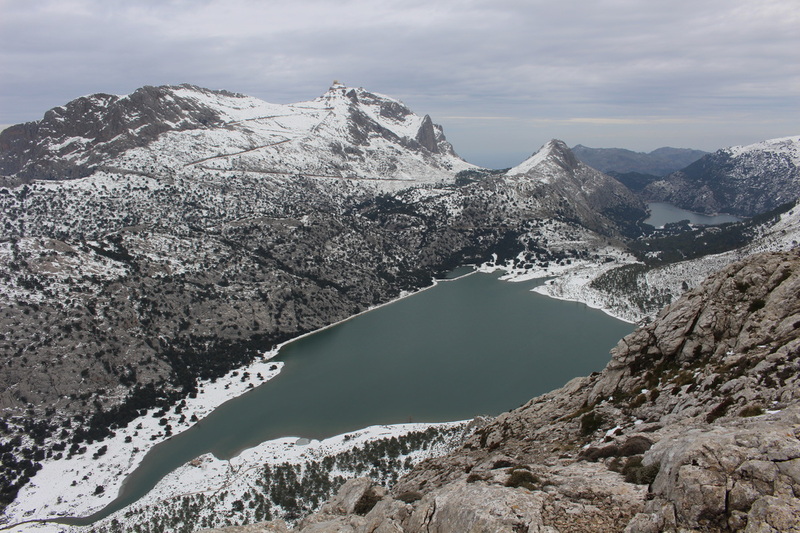 Those using public transport to reach the start of the walk at cuber reservoir are much better off walking back to Soller via the Barranc de Biniaraix or the Portell de sa Costa, a faster and more scenic rout then completing the loop to the Cuber car park. 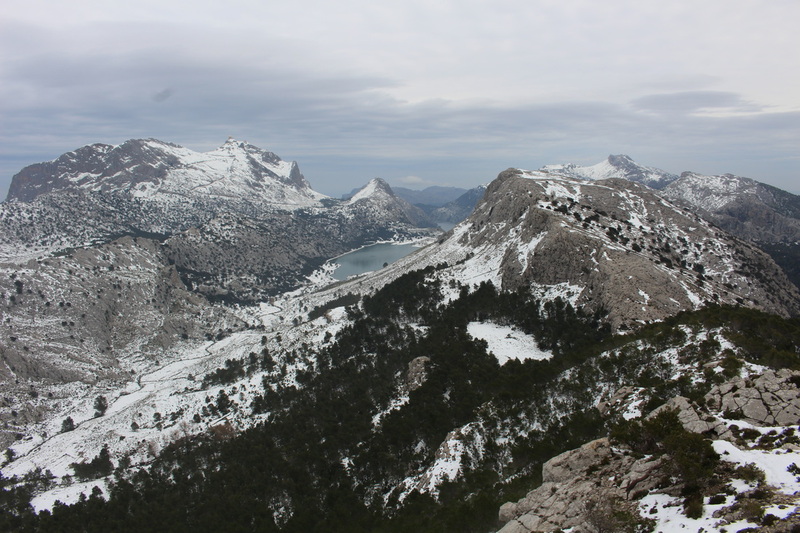 Bus service 354 departing Soller at 08:40 will bring you to Cuber reservoir bus stop and parking in about 30 minutes. For those driving, the parking by the reservoir gets very full on weekends so get there early. From the MA 10 car park at Cuber, follow the track on the southern shores of the reservoir till you reach the dam. 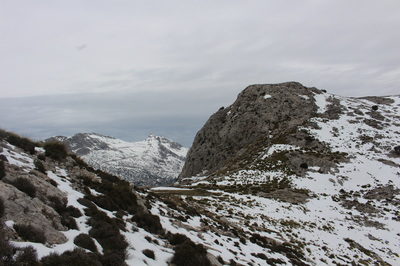 From here there are two way up to the summit of Sa Rateta, one short and difficult starting of a few hundred meter after the dam, the other far slower but much easier. 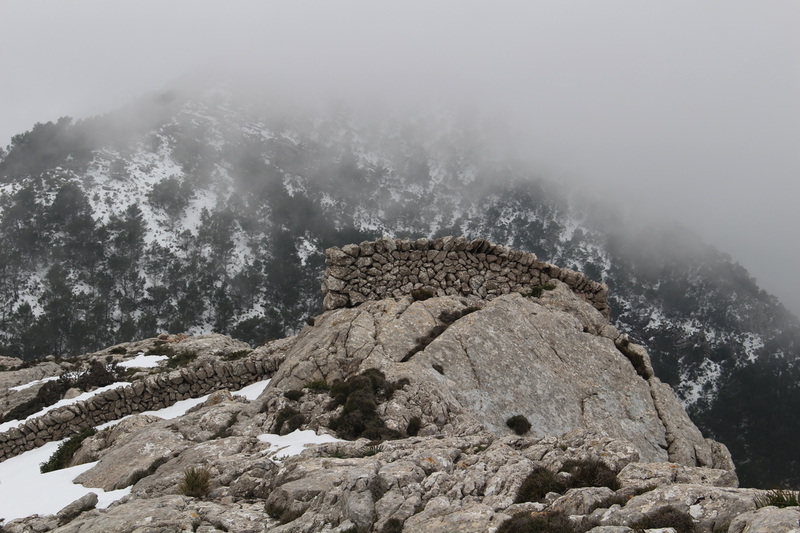 On the more difficult route,follow the cairns going up to the steep slope of sa Rateta. You then round the side of the mountain to the south and follow a steep ridge to the summit. 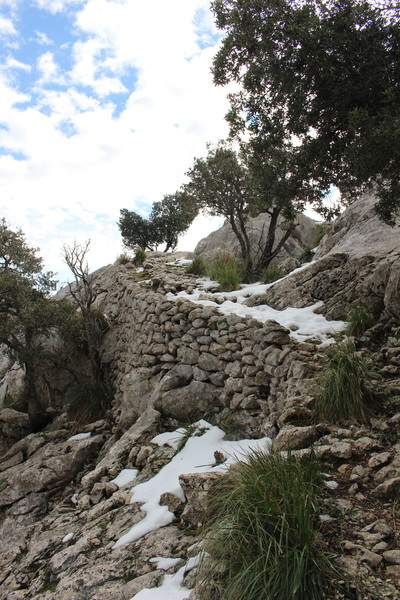 Most will opt for the easier route: do not cross the dam but follow a trail starting right by the little concrete shack by the dam in a southerly direction on the slopes of the valley leaving the dam. Follow the concrete pipes, that will lead you through a small tunnel . If the tunnel is flooded there is a good track above it going over the ridge above. 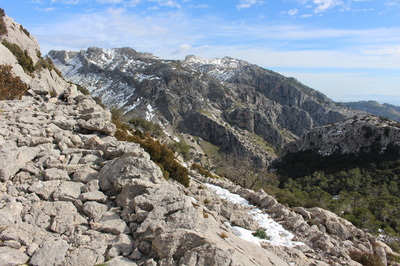 You will then have a steep downhill on scree after which you cross the valley to its western side, and keep following the large concrete aquaduct uphill this time. You will soon find yourself on a flat section of the trail where some spare pipes are stored. 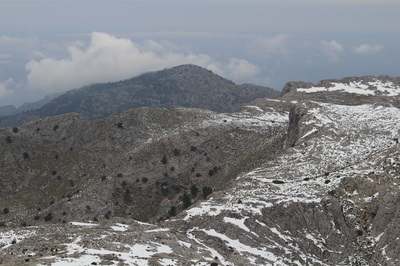 On this flat section look for an old trail marked by cairns branching off steeply to the right. Follow this old stone built trail that will bring you to the southern flanks of sa Rateta,. You will soon find a major trail that you take to the right, also stone built, that will lead you in a winding way all the way to the snow pits close to summit. It is a well preserved and impressively engineered track. At the the snow pit, take one of the line of cairns heading north towards the summit proper, reached in a further 10 minutes. 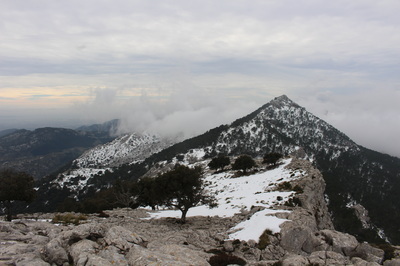 From here, the summit of na Franquesa is fully visible , so just head along the ridge towards it. There is a steep down hill with partition walls down to the saddle between the two summits. From the saddle, follow the cairns and round na Franquesa to the south before climbing steeply up a small valley, almost in a direct line to the summit. 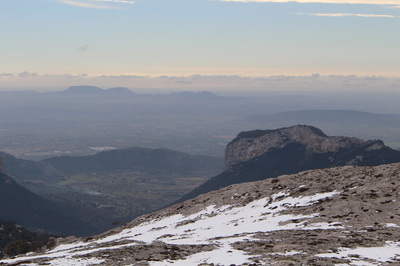 The views from na Franquesa are excellent. Push on in a south westerly direction along yet an other clear line of cairn. 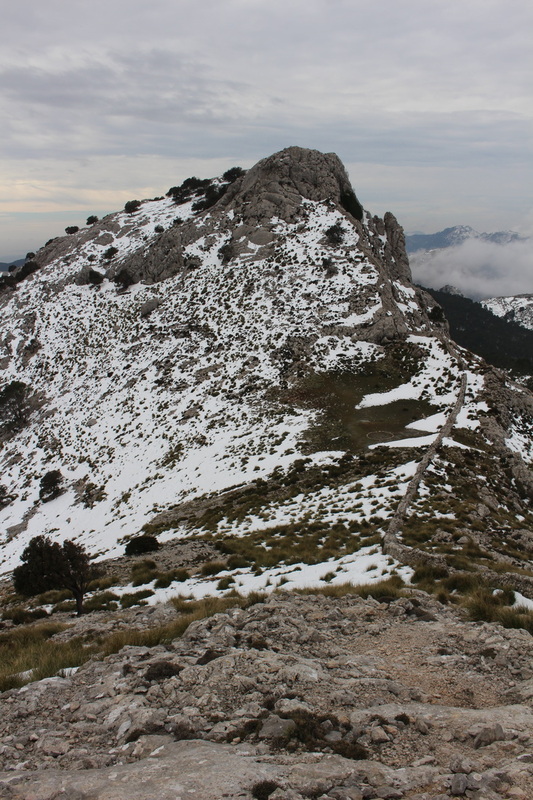 After crossing multiple rocky sections, the path goes steeply downhill to an other saddle at the foot of the Puig de l'Ofre. Cross the trail and head straight up hill through the forested area towards the summit. 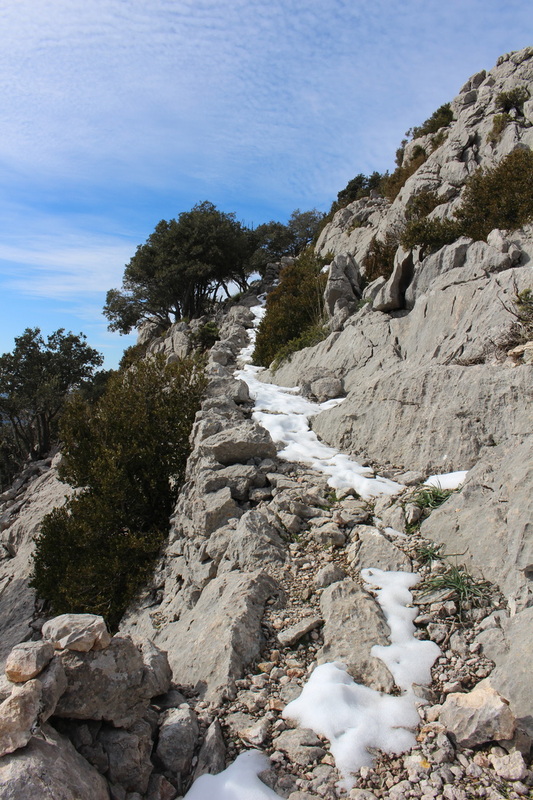 This trail is also easy to follow but does not go all the way to the summit itself. 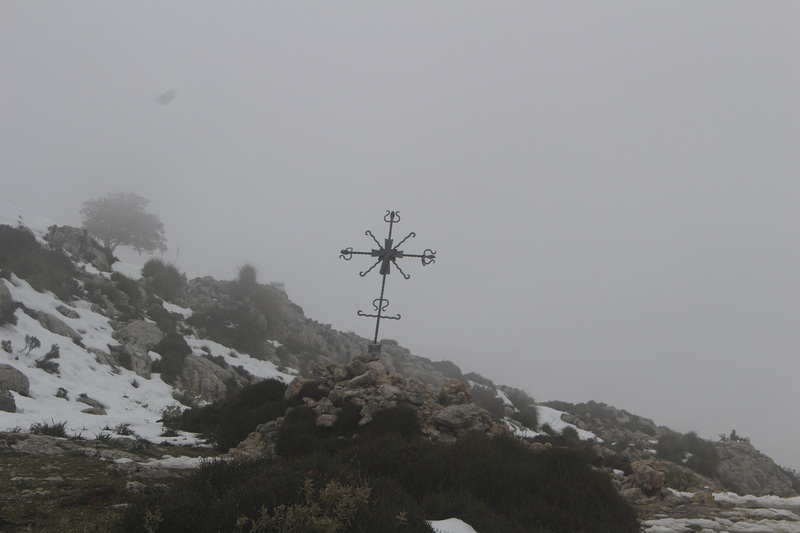 You have to turn off at a well indicated junction on the south side of the mountain to head for the summit, up a rocky ramp at first. 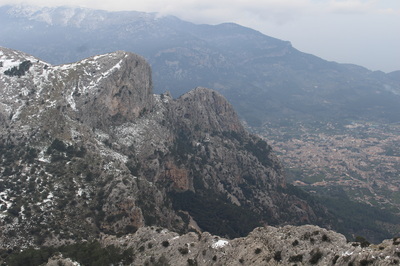 The summit of the Puig is actually clear of trees and the view are also good. Head back down the way you came to the junction, where you take a right and follow the clear but steep downhill trail through the woods. Once at the bottom of the hill, follow the forested valley to the right till you reach the col de l'Ofre. From the col de l'Ofre you can either follow the well signposted GR 221 trail towards Cuber reservoir and your starting point, or follow the same GR 221 the other way, down the Barranc de Biniaraix to Soller, reached in 3 hrs at the very most. You can also head towards the Portell de sa Costa by following the ridge northwards from the col, from where a steep descent will bring you swiftly down to Biniaraix and Soller. You can download a Pdf document of this route here.